Hyperbaric treatment was initially developed to combat the adverse effects of deep sea diving. In recent years, hyperbaric oxygen treatment has been used to treat a broad spectrum of ailments, including delayed-onset muscle soreness, fibromyalgia, and complex regional pain syndrome (CRPS). However, limited data are available on the effect of hyperbaric oxygen treatment on inflammatory pain. The effect of hyperbaric oxygen treatment on carrageenan-induced inflammation and pain in rats was investigated. It was hypothesized that treatment with hyperbaric oxygen would decrease paw edema and hyperalgesia in an acute inflammatory pain model as compared with that of a sham-treated control group. The experiment was conducted on 44 male Sprague-Dawley rats each between 300 and 350 g. The inflammatory pain condition was induced by subcutaneous injection of 1% carrageenan suspended in saline in the left hind paw. Paw volume was assessed via water displacement with a plethysmometer, and percentage differences were calculated on the basis of posttreatment measures compared with pretreatment measures. Hyperalgesia was assessed using the up/down method of mechanical paw withdrawal thresholds. Hyperbaric oxygen treatment involved exposing animals to 100% oxygen at a pressure of 2.4 atmospheres absolute (ATA) for 90 minutes in a hyperbaric chamber. A control group was placed in the hyperbaric chamber but did not receive treatment. A 1-way analysis of variance revealed no significant preinjec-tion group differences. An overall mixed-design analysis with 2 group levels (treatment, sham) and 7 levels of time revealed a significant main effect for group, a main effect for time, and a group by time interaction. In the hyperbaric oxygen treatment group, paw edema remained at pretreatment levels immediately after treatment and continued to decrease slightly until 2 hours posttreatment, at which time it began to decrease. However, antinociceptive effects were apparent immediately after treatment and continued to increase up to 5 hours after treatment, suggesting that distinct mechanisms might be involved in the anti-inflammatory and antinociceptive properties of Hyperbaric Oxygen Treatment. 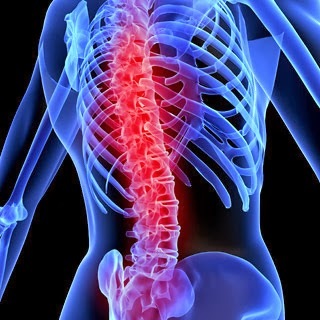 Hyperbaric oxygen treatment significantly reduced inflammation and pain after carrageenan injection in this rat model of inflammatory pain. Hyperbaric oxygen may be used in patients for whom nonsteroidal anti-inflammatory drugs are contraindicated or for those with persistent inflammation. 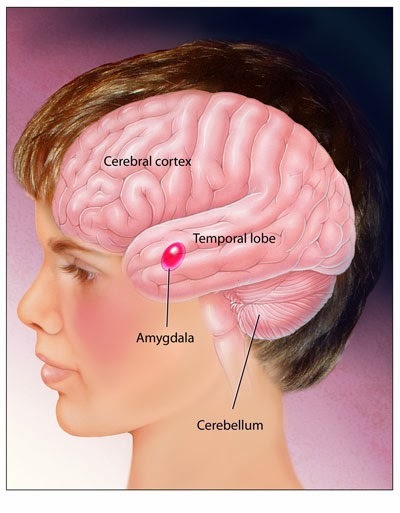 Autism marked by Brain Inflammation. HBO reduces inflammation! 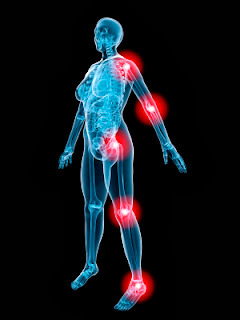 HBOT reduces the inflammation and restores circulation! NEW YORK (Reuters Health) Nov 18 - Brains obtained at autopsy from autism patients show widespread neuroglial activation and inflammation, according to a report in the November 15th online edition of Annals of Neurology. Despite suggestions that immune dysfunction plays a role in the pathogenesis of autism, the authors explain, neuropathological studies have given little attention to immune and neuroglial activity in autism. Dr. Carlos A. Pardo from Johns Hopkins University School of Medicine, Baltimore, and colleagues studied brain tissues obtained at autopsy from 11 autistic patients and cerebrospinal fluid from 6 living autistic patients. Neuropathological examination of autistic brains revealed extensive neuroglial responses, along with patchy loss of neurons in the Purkinje cell layer and granular cell layer of the cerebellum. "The marked neuroglial activity in the cerebellum is consistent with previous observations that the cerebellum is one focus of pathological abnormalities in morphological and neuroimaging studies of patients with autism," Dr. Pardo commented. There was, however, no evidence of adaptive immune reactions in autistic brains, the authors report. Brain tissues from autistic patients showed increased levels of proinflammatory cytokines, the results indicate, particularly in the region of the anterior cingulate gyrus. Cytokines originated principally from reactive astrocytes. Cerebrospinal fluid from living autistic patients showed significant increases in MCP-1, IL-6, IFN-gamma, IL-8, MIP-1beta, and other proinflammatory cytokines and modulatory cytokines. "These cytokines play important roles in immune mediated processes, and their presence in the CSF in autistic patients may reflect an ongoing stage of inflammatory reactions likely associated with neuroglial activation and/or neuronal injury," Dr. Pardo explained. "At present, there is no indication for using anti-inflammatory medications in patients with autism," Dr. Pardo cautioned. "There are ongoing experimental studies to examine the effect of drugs that limit the activation of microglia and astrocytes, but their use in humans must await further evidence of their efficacy and safety." Hyperbaric Oxygen Therapy is known for its ability to dramatically reduce inflammation! by William P. Fife, Ph. D.
The purpose of this study was to determine if hyperbaric oxygen therapy affected Lyme disease caused by the spirochete, Borrelia burgdorferi. The spirochete B. burgdorferi is a microaerophilic organism carried by the Deer tick (Ixodid) and transferred to humans and other mammals by its bite. Symptoms often begin by a bulls-eye rash and erythema migrans. Symptoms may include pain in joints and muscles, sore throat, fever, swollen glands, and mental " fogginess". If not diagnosed within the first one or two months, the disease may become a chronic infection. At that time it apparently becomes sequestered in fibroblasts and other cells which, in turn appear to protect it against effective treatment by all known antibiotics so far tested. The disease is difficult to diagnose without serological findings and requires the skill of a highly qualified physician, experienced in treating this disease. It was shown by Austin that the spirochete could not survive if transferred in air to another host, but would survive if transferred in a gas mixture of 4% oxygen. This demonstrated that the spirochete could not survive in an oxygen partial pressure of 160-mm Hg (the partial pressure of oxygen in air), but could survive in a partial pressure of 30-mm Hg (which is the partial pressure of 4% oxygen at 1 atmosphere, absolute (ground level pressure). Therefore, it seems clear that a lethal level of oxygen for the spirochete falls somewhere between 30 mm Hg, and 160 mm Hg. It also is known that while the inspired partial pressure of oxygen is approximately 160 mm Hg, at the tissue level, the partial pressure of oxygen normally is approximately 30-35 mm Hg. Thus, it would not be expected that breathing air at ground level would cause any damage to the spirochete. However, if the patient were placed in a hyperbaric chamber and the pressure increased to 2. 36 atmospheres, absolute (ata), the total barometric pressure would be 1794 mm Hg. If the patient were then to breathe pure oxygen the inspired partial pressure of oxygen would be 1794 mm Hg. Inspired oxygen is diluted by carbon dioxide and water vapor in the alveoli, so that the arterial blood would be exposed to an oxygen partial pressure of approximately 1700-mm Hg, and the tissue oxygen would be between 200 and 300 mm Hg. This clearly would be above lethal oxygen levels for the spirochete since it is expected that oxygen normally would diffuse throughout all cells of the body. This partial pressure of oxygen can be safely achieved in a hyperbaric chamber, and the patients can tolerate this level for 90 minutes or longer quite successfully. This study was approved by the University Institutional Review Board. 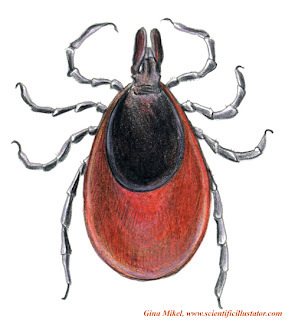 Subjects were selected from those referred by clinical physicians who were experienced in the treatment of Lyme disease. All subjects presented with a positive diagnosis of this disease according to the CDC criteria, including a positive Western blot serology of the proper bands. All had failed intravenous antibiotics, and many were continuing to deteriorate even though still on various antibiotics. Subjects were given a briefing on the use of the hyperbaric chamber, including the risks, and signed a waiver and release in accordance with the Belmont Report. They were placed in the multiplace chamber and compressed to 2.36 ata, whereupon a plastic helmet was placed over the head and pure oxygen was administered. The oxygen flow pattern was such that the subject inspired 100% oxygen with each breath. Subjects were able to communicate with the attendant in the chamber as well as with each other. Treatment duration was 60 minutes on oxygen, and in most instances the treatments were administered bid for 5 days followed by a two-day rest. Several different series were tried, ranging from 10 treatments to 30 treatments. One subject received 145 treatments over the course of 3 months. Ninety-one subjects completed a total of 1,995 hyperbaric oxygen treatments, although nine were eliminated later due to the presence of another medical problem not apparent during their treatments. These other medical problems were such things as babesiosis, ehrlichosis, hepatitis C, and previously unidentified neurological problems. Two subjects were eliminated due to the development of septicemia from IV catheters, and one because of recent breast cancer, although all three of them later showed an improvement of Lyme symptoms with hyperbaric oxygen administration. Subject evaluation was carried out by an abbreviated questionnaire taken from a standard questionnaire used by several Lyme specialists as part of their evaluation. This questionnaire was designed so that zero reflected no symptoms, while ten reflected severe symptoms. Although additional statistical evaluation still is being carried out, it appears that approximately 84.8% of those treated showed significant improvement by a decrease or elimination of symptoms. Only 12 subjects (13.1%) claimed no apparent benefit. Before treatment, the subjects had an average score of 114.12 (of a possible 270), and after treatment they averaged 49.27. This reduction of 64.85 points was statistically significant in a paired t-test (p=0.000). The variability of the scores from patient-to-patient declined as well after the treatment series. The standard deviation of the scores was 56.00 before and 44.14 after treatment. The p-value of this reduction is 0.057 in a Fisher's F-test. Further, 58% of the respondents had score reduction of 41.86 points or more. All except one of the 91 subjects developed severe Jarisch-Herxheimer reaction, usually appearing within the first 5 days of the beginning of hyperbaric oxygen treatment. In most cases, the Jarisch-Herxheimer reaction continued throughout the series of treatments, and in many instances continued for up to a month after the treatments were finished. Most subjects then began to show major improvement that in some instances has continued for 8 months.